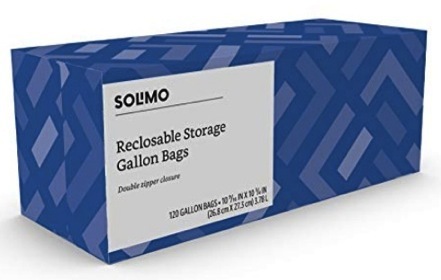 Solimo Sandwich Storage Bags, 300 count only $5.35 shipped, plus more! Right now, Amazon is offering some great deals on Amazon Brand Solimo Storage Bags! 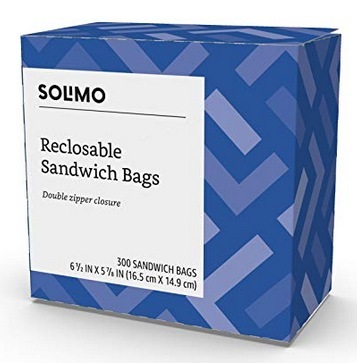 Get these Amazon Brand Solimo Sandwich Storage Bags, 300 Count for just $5.35 shipped when you clip the 20% off e-coupon and checkout through Subscribe & Save! 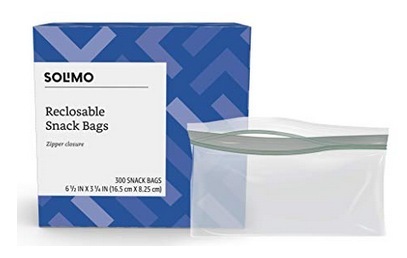 Get these Amazon Brand Solimo Snack Storage Bags, 300 Count for just $6.10 shipped when you clip the 20% off e-coupon and checkout through Subscribe & Save! 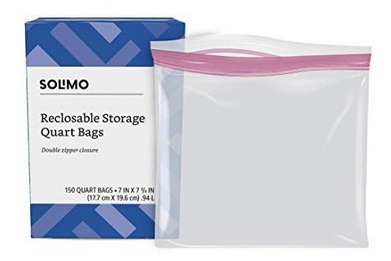 Get these Amazon Brand Solimo Quart Food Storage Bags, 150 Count for just $6.10 shipped when you clip the 20% off e-coupon and checkout through Subscribe & Save! Get these Amazon Brand Solimo Gallon Food Storage Bags, 120 Count for just $6.10 shipped when you clip the 20% off e-coupon and checkout through Subscribe & Save! « Quaker Chewy Granola Bars and Dipps Variety Pack, 58 count only $7.27 shipped!